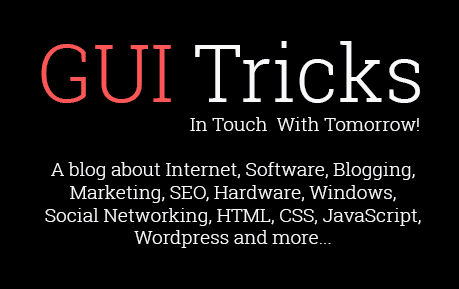 Contact Us Contact Us - GUI Tricks - In Touch With Tomorrow! If you have any problem, wanna discuss anything else with us, want to write Guest Post for us, Found any error, wanna give us Feedback or simply wanna contact us officially then feel free Email us. We will definitely reply you soon. You can Email us at guitricks7@gmail.com. While sending an email, please make sure to follow the below instructions. Attach any screenshoot and files instead of add external hosted link. Please explain your problem completely otherwise we can't reply you back. Hi I have seen link appear on your post:http://www.guitricks.com/2017/02/best-racing-games-unblocked-2017.html is backdated. I have written a new post on provacy settings which is: https://www.techniquehow.com/facebook-privacy-settings-uses/. If you like it link to your post. Thanks. I have mailed you, please reply me!